Many readers ask me whether Christians in China continue to suffer persecution. Often they’ve been told it’s a thing of the past. Compared to earlier decades, religious persecution in China is less extreme. In some places there is little or no persecution. Local officials may look the other way even if they suspect Christians are meeting illegally (as most Christians in China do). In other cases, where Christians were once jailed for assembling without permission, they may now be ostracized, and not permitted to hold significant positions of influence in government, education, or business. In other places, Chinese Christians continue to experience extreme persecution. In fact, it is likely that more Christians in China are currently in prison for their faith than in any other country. Reports from unregistered churches continue to confirm that thousands of Chinese Christians are still imprisoned for following Jesus, and many are still beaten and abused in prison. I have seen recent photographs of tortured believers and have wept at their stories. It is still illegal to teach children under 18 about God and Jesus. It is still illegal for three or more believers to gather for religious purposes without government approval. Eighty percent of Chinese Christians are part of unregistered illegal churches, because they say Christ is Lord, and they cannot allow an atheistic government to control their churches. Some western Christians have naively criticized unregistered churches, without understanding that they cannot in good conscience bow their knees to a government whose hands have long been stained by the blood of Christians. In 2001, when Safely Home was published, Ling was producing Christian materials. He was interrogated in his home by police officers. He refused to lead officials to his Christian co-workers so they placed each hand on a table and held it down, pulling out his fingernails, one by one. He was then forced to spend three years in a "re-education through labor" camp. Though beaten and burned with cigarettes, he refused to deny his faith. A major crackdown in 2004 against unregistered church groups resulted in the arrest of hundreds of Christians. A 28-year-old Christian teacher and a 34-year-old female evangelist were among those beaten to death while in police custody. In 2005, 100 security officers from five Chinese government agencies raided a conference of 140 house-church leaders and ten guest pastors in northeastern China. The police, accompanied by the Religious Affairs Bureau, seized Bibles and Christian study materials, and arrested many attendees, including two American pastors who were detained, questioned and deported. 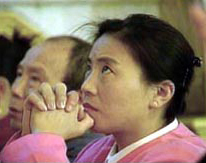 In 2007, a Beijing house church leader, Hua Huiqi, served six months in prison. According to China Aid Association (CAA), Hua and his 76-year-old mother were arrested after being attacked by seven police officers. While walking on a public street, they were kicked to the ground and taken to the Olympic police station for questioning. Hua’s mother was later sentenced to two years in prison. Bob Fu, a Chinese national, now labors in the US to call attention to millions of persecuted countrymen. I encourage readers to examine Fu’s website and listen to these stories: http://chinaaid.org/. Fu claims that to this day "Christians in churches unrecognized by the socialist regime in Beijing continue to be harassed, oppressed, arrested, imprisoned, tortured and murdered for their faith in Jesus Christ. Most of these abuses are cloaked in secrecy for fear of offending Western trading partners and jeopardizing China’s fragile economy." Readers of Safely Home in China concur. A missionary in China recently wrote: "Safely Home was very, very accurate." She knows a Chinese woman who couldn’t read it because it reminds her of close friends suffering persecution. Those who deny persecution often say they visited China and saw Bibles for sale in a store, or a registered church. (That’s true; registered churches are permitted to have Bibles.) An American Christian leader assured me that he and his ministry preached the gospel in China and had cordial meetings with communist government leaders. I rejoice in this. But he then spoke of the "misconception" that Christians are still persecuted in China. Unfortunately, the documented incidents demonstrate it’s not a misconception, but a reality. A Chinese Christian told me "somewhere in China the sun is always shining, and somewhere the snow is always falling." In other words, there’s always freedom somewhere and persecution somewhere else. Visitors to China rarely go to the countryside where much persecution takes place. They will not be given an audience with persecuted Christians. Believers will not step forward to share their stories with visitors who are escorted by or traveling under the favor of government officials! It is irresponsible to claim that Christians are no longer in prison or beaten or discriminated against, simply because the visitor doesn’t see this happening, or because Chinese officials and government tour guides say it doesn’t happen. Should we believe the government (who denied persecution even under Mao), or the actual Chinese Christians, most of whom remain in unregistered churches, despite the great cost of their doing so? China Aid (www.chinaaid.org), Asia Harvest (www.asiaharvest.org), and Voice of the Martyrs (www.persecution.com) provide current information about persecution in China. We encourage you to stay informed about—and to intercede for—our Chinese brothers and sisters. While we should rejoice that persecution has lessened significantly in some places, let’s be careful not to perpetuate the lie that Christians are no longer persecuted in China. A new government-sponsored survey on spirituality in China has found that the number of religious believers among the country’s 1.3 billion people is far higher than generally known, amounting to as many as 300 million.